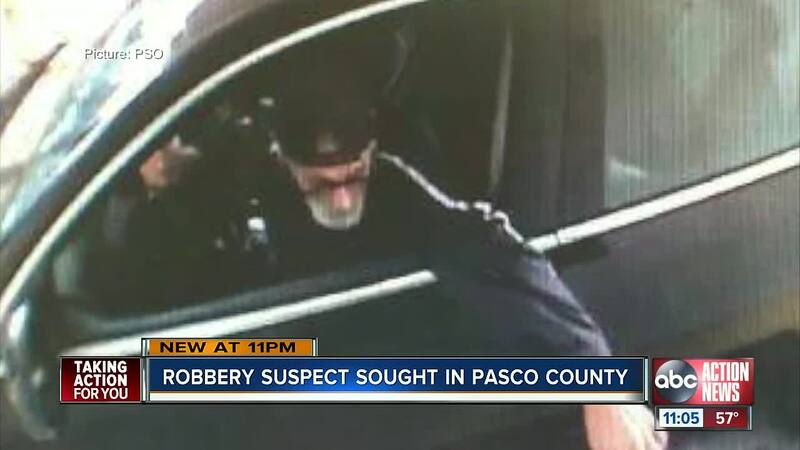 Pasco deputies arrested a man on Wednesday they say is behind a string of attempted robberies Tuesday, all happening within a one-mile stretch along State Road 52. 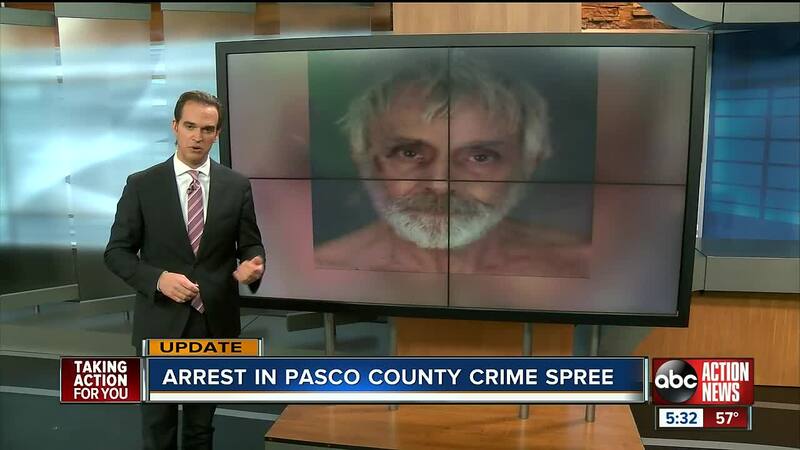 HUDSON, Fla. — Pasco deputies arrested a man on Wednesday they say is behind a string of attempted robberies Tuesday, all happening within a one-mile stretch along State Road 52. Thomas John Adam was arrested for two robberies and one attempted robbery in Hudson. A surveillance camera captured a picture of the man as he made his first robbery attempt at Regions' Bank at S.R. 52 and Zimmerman Road. The second robbery attempt occurred only a couple blocks away at the Sunoco Station at Majestic Boulevard. 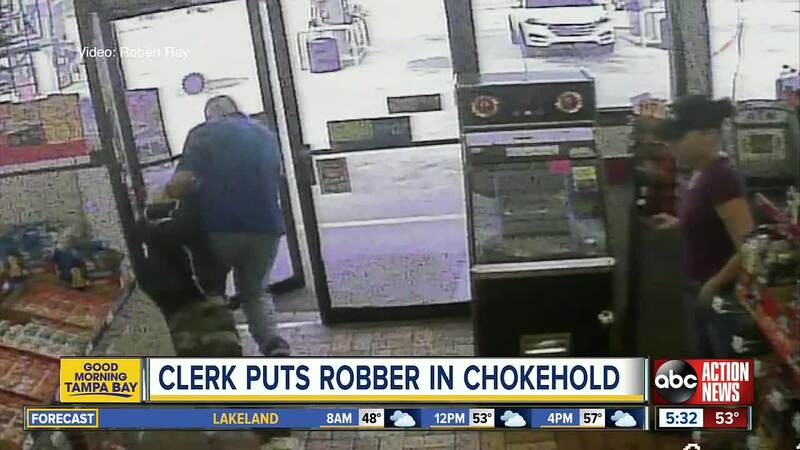 "Walked straight up to the counter, looked me straight in the face and said 'I’ve got a gun, give me your money,'" clerk Robert Ray recalls. 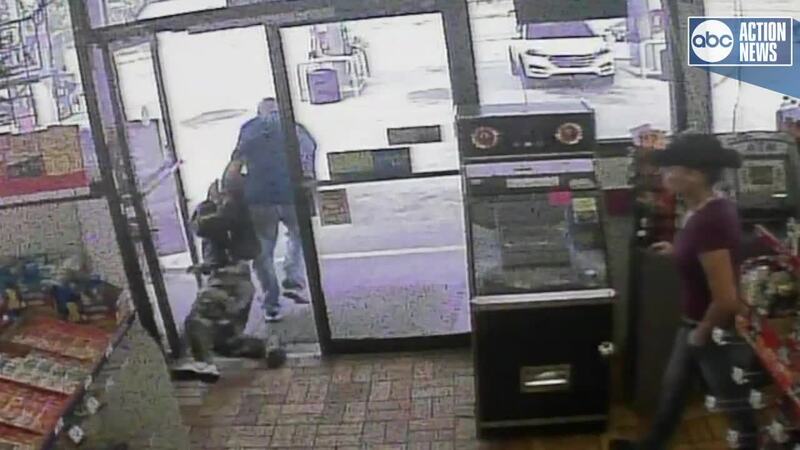 Surveillance video from Sunoco shows Ray putting the man in a chokehold and dragging him outside the convenience store. "I was shocked by it," said Ray. "I wasn't expecting to be robbed in the middle of the day on a Tuesday afternoon." He then went to a dry cleaning business where he threatened the owner with a gun and stole $100 from the register. The owner, who asked not to be identified, rushed next door for help. "I'm holding onto his arm and he says to me, you better let go of my arm and I have a gun on me," said Russ Disi. Disi owns the barber shop next door and approached the unknown suspect before driving away. "Just the fact that he said I have a gun on me, I mean, he’s taking a chance because there’s a lot of people walking around with a gun on them," said Disi. Authorities say they arrested a suspect on Wednesday, but have not released any additional information.